500Yen are taken from the admission fee and collected for JOICFP’s ‘Yagisan Project’ (goat-project). 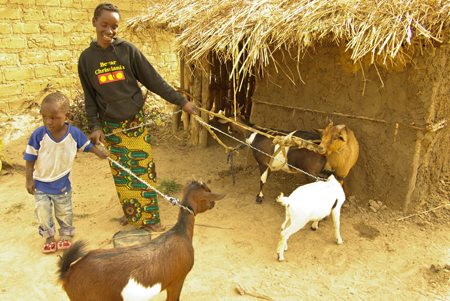 With the money, a male and a female goat are bought and sent to our friends in Africa in order to support the HIV positive peoples’ lifes. One goat costs around 5000\. That means if ten people take part in a workshop, one goat can be donated. Since there were so far 273 workshop-participants, all in all 27 goats were already congregated. I hope this number will still be increasing in the future and, of course, I’m going to pursue the situation after the goats have been given and report afterwards.